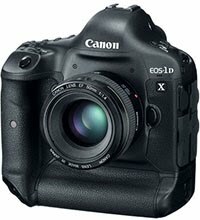 Canon today published a new firmware for its flagship EOS-1D X DSLR camera. The new firmware comes with a host of updates and improvements (Nikon: where are you with these kind of updates for the D4?). If you have a 1D X, I would really recommend updating. As always, you can download the update from the canon website. Note: if your particular operating system version (e.g., Mac OS X 10.9) doesn't show the 2.0.3 update, use an earlier OS version, this should allow you to view and download it. The number of release parameters settings for the "AI Servo AF 2nd image priority" AF function has been increased to enable improved AF tracking in low light or maintain consistent high frames rates during continuous shooting.